We are the local running club in Monterey and Salinas area with over 300 members. We welcome anyone—whether you are local or a visitor—to come join us on any of our runs below. The club has a wide range of ages - 15–90 years of age and paces from 13:00 to 5:00 minute miles. If you run with us regularly, you will want to become a member to take advantage of our club benefits and social activities. Selected as the Most Runner Friendly Community in the United States by the Road Runners Club of America. Visit the WNLR – Wednesday Night Laundry Runners "Group" Facebook page for current happenings and communication. 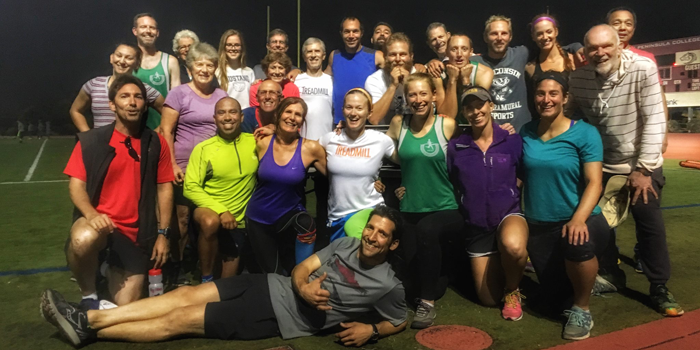 WNLR offers a group run for every day of the week and every running ability all around the peninsula. Be sure to check out our signature runs on Wednesday night and Saturday morning. The WNLRs are registered with the USATF as Team 133.